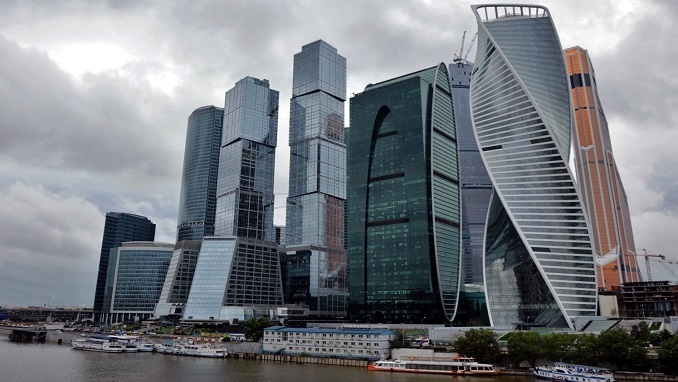 Officials in Moscow have approved a new 404 meter (1,325 feet) skyscraper in the Russian capital, which will become the city’s tallest building, CNN reports. The impresive superstructure, designed by Sergey Skuratov Architects will be a part of the Moscow City commercial district. The still unnamed structure will be a multifunctional residential complex with 109 floors, authorities said. The new skyscraper will break Moscow’s current tall building record of 373 meters (1,226 feet) held by the Federation Tower at) tall. Construction of the new skyscraper, which will be the world’s 26th tallest building, is scheduled to begin next year. The upper section will be mostly residential, with the tower extending up to the 104th floor. The design also features an observation deck at 399 meters (1,309 feet) and a helipad at the building’s top. “The plan of the building is an isosceles (trapezoid) 30 meters wide, truncated on one side, facing the Moskva River,” Skuratov told CNN. “The sloping edge on the west side of the tower follows the direction of one of the nearby streets. The other … edge is vertical and points toward the center of Moscow,” added the distinguished architect, who also spoke about the project in a recent interview for ArchDaily. Another, taller skyscraper, the Lakhta Center is expected to be opened next month in Russia’s second biggest city, St Petersburg. The 462 meters (1,516 feet) tall tower is the 13th tallest in the world and takes the title of the tallest building in Europe.